Thank you for visiting Kendall Volkswagen of Anchorage! We have been proudly providing Anchorage and the surrounding areas with exceptional German-engineered Volkswagen vehicles since 1977. Whether you’re in the market for a new model or just want to keep your current Volkswagen running in great condition, we’re the Anchorage VW dealer for you. We are a family owned and operated business, and we believe in providing our customers with an exceptional and easy experience combined with personalized and exceptional customer service. Visit our Kendall showroom today and experience the Kendall family difference! Our nearby Volkswagen dealership is conveniently located at 6115 Old Seward Hwy in Anchorage, AK 99518. We are only a short drive away from the surrounding areas of Wasilla, Palmer, and Big Lake. 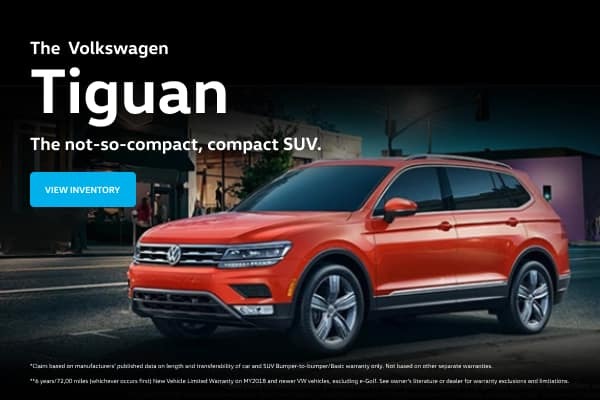 Our new Volkswagen cars and selection of used cars in Anchorage are stocked with high-quality VW models like the Volkswagen Jetta, Volkswagen Passat, Volkswagen Tiguan, and many more. These award-winning vehicles are fully loaded with innovative safety, comfort, and entertainment features while providing amazing power under the hood with a variety of turbocharged engines to choose from. Stylish and iconic, you’ll be glad you joined the VW family. You can begin your VW car search today by learning more about our Volkswagen models right here on our website or by visiting our Volkswagen dealership to take one of our new models out for a test drive. Once you’ve chosen the right Volkswagen for you, our Volkswagen Finance Center will help you figure out your financing options and will work with you regardless of your credit situation. Kendall Volkswagen of Anchorage understands that not everyone is in the market for new Volkswagen vehicles. That’s why at our used car dealership you will not only find new Volkswagen cars for sale, but a wide variety of used cars in Anchorage as well. Our large inventory of Volkswagen used cars provides our customers looking to make an automotive purchase with many used car options. Furthermore, in our selection of used cars we have an inventory consisting of Certified Pre-Owned Volkswagen cars. To ensure top quality, our Certified vehicles have gone through several tests and multiple-point inspections. Shop our used car inventory, then give us a call or contact us online if you have any questions. You can trust our Volkswagen Service Center for all your VW service and repair needs. We’re here to ensure that you and your vehicle are treated with the care you deserve. Our VW service technicians are trained to handle all regularly scheduled maintenance and major repair needs. You can schedule an appointment with us online or over the phone and we will get you back on the road and back to your life as efficiently as possible. You can also visit our Service Xpress page to learn more about quick service options. We also carry high-quality VW parts and accessories in our Volkswagen Parts Center. Let us know if we can help you find a specific VW item and we will make sure you get it in a timely manner. 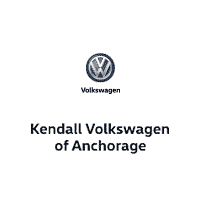 Kendall Volkswagen of Anchorage is part of the Kendall Auto Group family that was established in 1937. Since then, we have been fortunate enough to watch our family grow and include the beautiful and great state of Alaska. We love living and working here among some of the hardest working and down-to-earth people in America. It’s an honor to call you our neighbor and our customer. We hope to see you soon at Kendall Volkswagen, where our family wants to provide yours with nothing but the very best. Kendall Volkswagen of Anchorage	61.195429, -149.358257.